50% off the RRP's now included! Dùsal UK / Euroquilt are a respected family run business that are still manufacturing in the UK today and delivering outstanding quality products in Duvets, pillows, mattress toppers and protectors to quality retailers, 4 & 5 star hotels and the customer who expects more…. All of Dùsal UK / Euroquilt fillings be them Natural or synthetic are carefully sourced in Europe and NOT the far east and so meet all current high standards required and also all their natural products do carry the no mite and down afresh accreditations. Exclusively made in Scotland to the highest possible workmanship and exceeds the British and EU standards. Our Dacron Comforel® filling is a specialist filling made from tiny cluster-fibres that can be refluffed easily, just like feather, to keep the initial loft & plumpness of your duvet. In turn this creates a down-like softness and lightness for unsurpassed comfort and luxury for many years to come. Also just as important is Comforel® cluster-fibres have been designed to resist crushing and matting: your duvet will keep its initial shape for a long time. Euroquilt duvets are well known for quality and is truly exceptional. The thousands of Dacron Comforel® cluster-fibres in these duvets mould perfectly to the shape of your body, adjusting to your movements to give you the perfect night's sleep we all deserve!! The construction of the casing is naturally made to the exacting standard's that one would expect from Euroquilt - cassette boxes made with baffle walls ensure filling is safely contained and will not move around the duvet. Cheaper duvets on the market may be stitched through from top to bottom - this leads to 'cold spots' where the top and bottom meet without any filling. 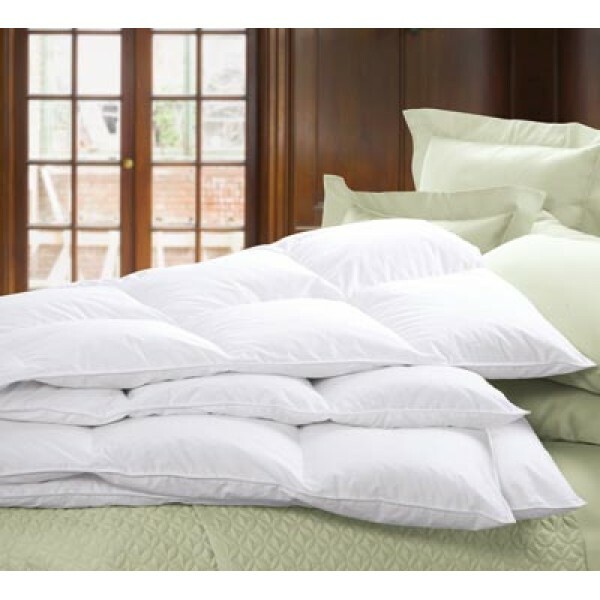 The casing for Comforel duvets are made from the finest 100% cotton, with a finely woven 233 thread count. 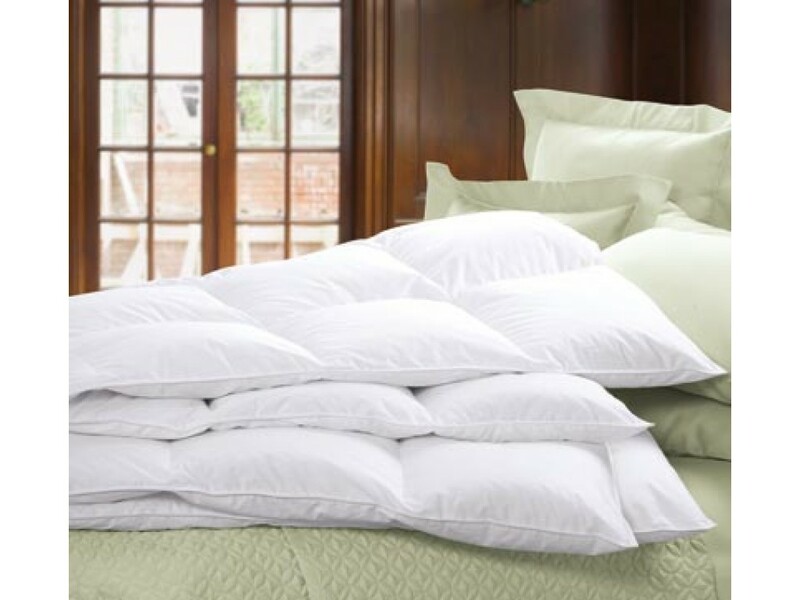 The “Dacron Comforel” filling feels so soft that it closely matches duvets that are filled with the finest natural down & it gathers in soft clusters which give a lovely cosy feeling to your duvet. In terms of care, Dacron Comforel has a unique edge over other fibre products because it is also known as Superwash when sold into some of the upmarket Hotel industry. The ball shaped fibre ensures clumping is not a problem. Please note that any Euroquilt duvets can be connected together to create an all seasons duvet. If you can't see the all season tog combination you require then simply buy the two tog duvets you want to be able to connect together and let us know when at the point of ordering in the notes section. The duvets connect together with a popper system.